no difference between the quality of different gem cuts, the Emerald cut creates a truly beautiful look impossible to achieve with other styles. Long used to enhance the beauty of coloured gemstones, Emerald cuts are by far one of the favourites for jewellers across the world. 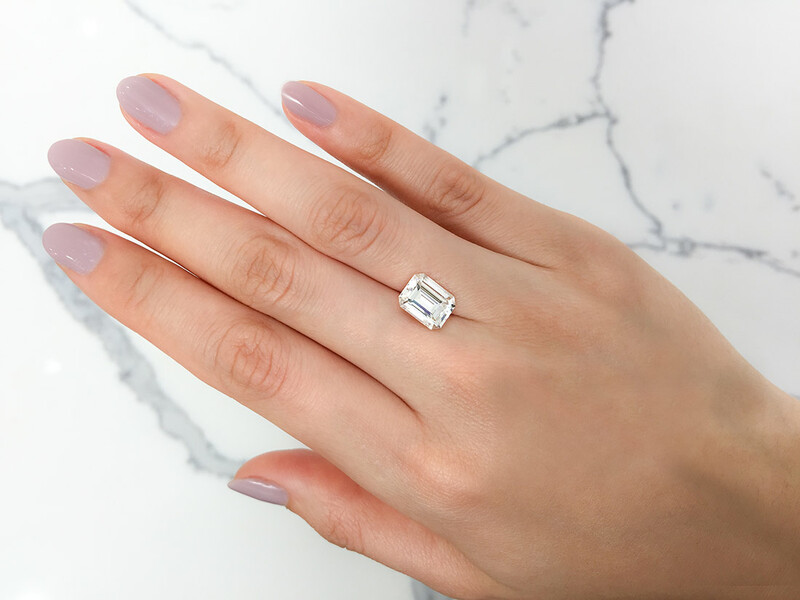 The Emerald cut is designed to capture light and draw inward towards the heart of the stone, thereby increasing the hypnotic appeal of the cut. three rows on the bottom steps or three rows of top steps. able to figure out how to polish and cut diamonds using fragments of their own dust. have been spotted with Emerald cut rings. The unique beauty of this cut along with its originality make it a favourite for those who aspire to be different—especially celebrities. the option of choice, particularly because they have a tendency to emphasize any mismatched colours in the stone. If you opt for a diamond, be sure it is a higher clarity grade to avoid any inclusions standing out from the heart of the stone.